Arab Health Exhibition and Congress has announced the launch of its international Medlab Series that will take place in five global cities. 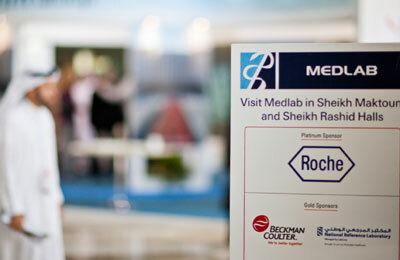 The events will follow the Medlab Middle East Exhibition & Congress that will take place during the 38th edition of Arab Health from January 28-31, 2013 at the Dubai International Convention & Exhibition Centre. The new events will take place in Riyadh, Johannesburg, Nigeria, Singapore and Sao Paolo. The major driving factor behind Arab Health’s push for the expansion of the Medlab series of events is the expected in-vitro diagnostics (IVD) industry boom in emerging countries such as China, India, Russia, Brazil and the African continent driven by government funding and improved healthcare facilities, a statement said. Medlab Middle East, the next event in the series taking place at Arab Health 2013, is aiming to provide a platform for an ‘Exhibition with Education’ which offers the medical technology field with an opportunity to experience new product ranges, material and other high-tech healthcare solutions focusing specifically on the latest innovations in diagnostic and laboratory equipment, hospital management and bio technology.